There are many ways to celebrate the holidays. While some light the Hannukah candles, some decorate Christmas trees. And for some, well, they do a little bit of both. This is a story about an out-of-the-ordinary Santa. His real name is Rick Rosenthal. He also happens to be Jewish (Modern Orthodox, to be precise). Santa Rick came to StoryCorps with an old friend and mentee, Adam Roseman, to talk about how he found his calling. 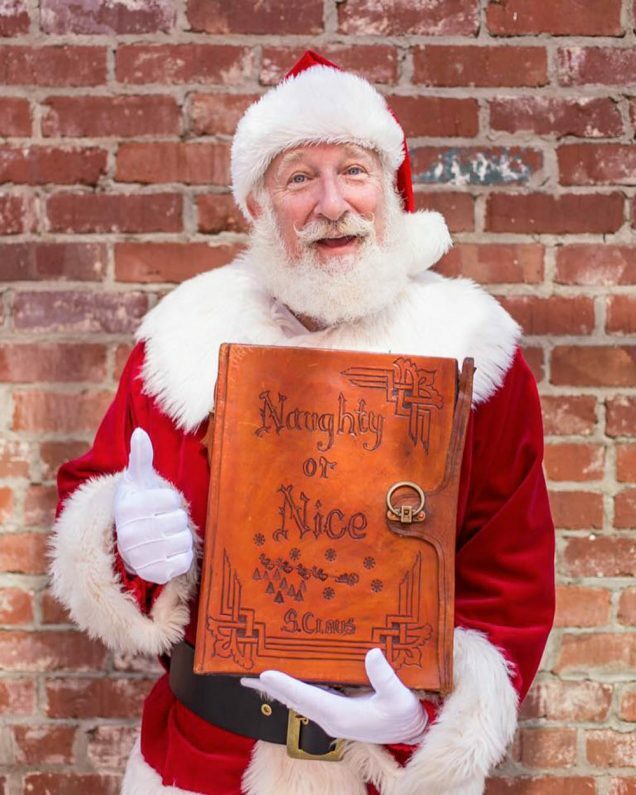 In addition to his day-to-day work as Santa, Rick started and now runs one of the largest Santa schools in the country. Top photo: Adam Roseman and Rick Rosenthal pose after their StoryCorps interview in Atlanta, GA in September 2018. By Brenda Ford for StoryCorps. Bottom photo: Rick Rosenthal poses in full Santa regalia. Courtesy Rick Rosenthal. Originally aired December 7, 2018, on NPR’s Morning Edition. Rick Rosenthal (RR): I was always that guy that was out in left field; it’s just the way I was. Everybody felt that way. My Dad, God bless him, he loved that part of me. Adam Roseman (AR): So when did you become an official Santa? RR: My parents died two weeks apart seven years ago. When Mom passed away, Dad just gave up. He’d lost his partner. And in Judaism, you don’t shave for 30 days when you lose a parent or a child. When Dad died, I just said, ’That’s it,’ and I just let my beard grow. Being Santa does make you a better person because he talks to children, gives them respect, he looks them in the eyes and he listens. And he treats them all the same, whether they’re four or 94. It’s not about being an adult or child. It’s about listening and communicating and providing hope. AR: I do recall some of the initial conversations with you planning to become Santa, and I do have to say or admit that I was skeptical. But you are that person. RR: Well, there are a couple people who think I’m crazy. And you know, we don’t live in a black and white world. The world is filled full of beautiful colors. Unfortunately there are some people who are black and white. As Santa, you have to love people, and you just have to do whatever you can to make their lives better so that they can see the colors of the world.